See, we’ve been doing that a while, and you know what? You know what Ferguson, Baltimore, and Charleston are all telling us? Things haven’t changed. Racism and hate are all as alive and as ugly as they ever were. Yesterday, I read headlines about arsonists burning six black churches in the south. Six. 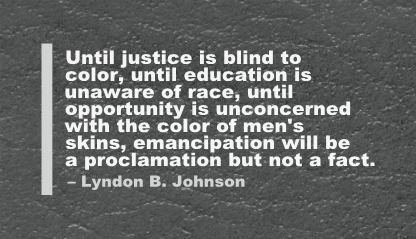 Every day, people are killed simply because of the color of their skin. They are somehow considered less than human. Demographics aren’t improving. Social equality isn’t improving. People have learned to talk in ways to make it seem like they’re improving. But they aren’t. I went to a wonderful discussion yesterday and it has left me with much food for thought. The talk was entitled “Race, Faith, and Justice in the Age of Ferguson and Baltimore.” The speakers, Rev. Sekou, Jo Ann Hardesty, leader of the Portland NAACP chapter, Dr. Daymond Glenn of Warner Pacific College and Eric Knox of the Imago Dei Community, they each brought something to the table that startled me out of my complacent, white reverie. They were brutally honest yet compassionate. And it was a revelation. This talk, it revealed the depth of my ignorance, but it also tugged at that inner voice that said, if you saw injustice happening on the street, would you walk away? The warrior in me cries, “No! Never! I would stand up! I would do something!” But then a small voice chimed in, and said, “What if your children were with you? Would they get hurt? What if you got hurt? Do you want your children to live without their mother, because you stood up?” See, that’s the messed up fear that goes through my brain. And I know I’m not alone. Why else did so many people walk by Eric Garner on the street? Or the young Tamir Rice, whom police stood by and let bleed to death, until a federal agent arrived and, too late, tried to perform first aid. Would I, like so many folks in our country, pretend I didn’t see it, because I was afraid of all the “what ifs”? Or worse, would I walk by because I assumed the police were just arresting a black man, and the violence was somehow appropriate? See, I’ve done martial arts, and when I see the violence in these videos, I am shocked. And the videos keep coming. Daily. My sister eloquently described the problem to me when I brought this up with her: “It comes down to implicit bias: the bias we don’t know we have.” And that’s true on not just a personal level, but an institutional level. Because that’s legit, right? When universities hire folks or politicians appoint folks to newly created equity offices, do they hire people who are built to inspire the next generation, or do they hire people with a long list of corporate, white-collar jobs on their resume? Hrm, looking at the universities around here, I know the answer to that question. I also heard how tired the officers who are black are of trying to tell their white counterparts that they are wrong. It is tiring talking to people who aren’t willing to acknowledge that you and people like you don’t have a valid experience, that the hate, that the myriad of micro-prejudices you experience on a daily basis are somehow inconsequential. I can only freaking imagine, but to hear the exhaustion in Jo Ann Hardesty’s voice, my heart beat with rage. This is not how it should be. In our modern age? No one should feel marginalized like this. As someone who was neither Christian nor black, this talk still included me. And I feel like “talk” is such a tame word for an event that rocked me to my core, that made me cry in grief, in shame, and laugh with joy, and made me ache with guilt at the exhaustion in the voices of the speakers, who clearly acknowledge they are fighting for a cause they know they will never see in their lifetime – but they hope their children will see it through, or their children’s children. The point is, even though I felt out of place, I feel like I also needed to be there. When Rev. Sekou spoke passionately about the mothers standing over their children’s places of death, lighting candles, years on end, of fathers fighting for justice for their little ones who died of broken hearts before they could see it through… How could I not think of my own children? How would I feel? That was a question posed yesterday – what if those were our babies? What if those were our youth, tired and disenfranchised, told that they don’t matter, oppressed, and killed because an officer was implicitly biased to think that black youth are somehow more dangerous? And, what could white people do to help our black brothers and sisters and end these kinds of racial injustices? The answer given by Jo Ann Hardesty (and paraphrased poorly here): Stop institutionalized racism whenever you see it. Seems simple enough, right? Hear a friend making a racist joke? Shut them up. See a police officer or a person in power committing an act of injustice against a black person? Stop what you’re doing and bear witness. Let that person know they are not alone. Is it a child? Stand with that child, find out their parents name, call their parents. Let the authorities know that the are accountable and that we will not stand silently by and let these atrocities continue. Are you a white pastor? Wear your robes, and stand between the line of police and the rioters, show your solidarity. Make a barrier and let your black brothers and sisters know that they are not alone. Their voices are not lost on you, they are not screaming, and dying, in a cold, hard silence. Then, maybe they will not feel as if they are unheard. The thing is, this strikes me pretty hard. See, I have two beautiful nephews who happen to have a very awesome, black dad. And the thought that either their father or they could die just because their skin happens to be a few shades darker than mine? That terrifies me. They might just happen to be on the wrong end of the wrong police man’s traffic stop? Again, it terrifies me, with a terror I know that my sister feels far more acutely. See, I may be white, but I’m also a mom. It guts me to think about the possibility of living that kind of reality. What kind of fucked up society do we live in where our children have to be afraid of the people that should be protecting them because racism exists? I am not saying that all cops are racists. They’re not. I know they’re not. But they are human, and humans are fallible. And humans with guns, fueled by hate or implicit bias, in an institution that is rotten with systemic violence against minorities, are somehow going to enforce justice fairly? If we as a society can’t admit that yes, racism is still an issue, that we are biased, that they system is broken, and something still needs to be done? What hope is there? Here’s another plain and hard truth. I live in the only house we were able to afford on a single income, supporting two children in daycare, and a husband in medical school. And you know what it has that is different than the more affluent neighborhoods? Black people. And you know what? Contrary to common belief, they are not gangsters. They are not “thugs.” They are families. With adorable children who deserve to get to their next birthdays. Who like me, are poor and can’t afford to live in a “better” neighborhood. I dropped my wallet and keys on a walk with my kids when I first moved in. You know what the young boys playing basketballs did? Well, those hoodlums! They called out to me and brought me my keys and wallet. And when I dropped my keys again a few weeks later (klutzy new mom in a new city, carrying a baby in a carrier and pushing a three year old in a stroller), you know what? They did it again. The young kids on the street don’t care that me and my kids are white, just like my daughter didn’t care that their skin is dark. The point is, the black community is disenfranchised, Yes, they are oppressed, even if so many white folks don’t want to admit it. Heck, a few years ago, in my little Eugene bubble of whiteness, I didn’t want to admit it. I was a voice arguing with my black friends that their experience wasn’t valid, because, heck, we have a black president, so clearly racism is dead? Oh, wait, people still call our president names behind closed doors, don’t they? Policy makers keep having horrible e-mails leaked about making fun of their black constituents and our president? But, see, my family – we won’t always be poor. Our times and our lives will get better. But I can’t say the same for the other families in my neighborhood. They don’t have the luxury of being white. I am glad you spoke up. I used to want to wait for perfect knowledge to begin speaking; now I realize the speaking is part of the understanding … and part of letting folks know it’s OK for them to own up to not knowing, either. Well articulated. I wish I could have made it to that talk. I pray implicit bias lessens with each generation, but unfortunately I think that’s more fantasy than reality. But it’s something we can talk about, should talk about, need to talk about and challenge if progress is going to be made. Bear witness, and challenge discrimination when you see it. I’d encourage EVERYONE to install the social justice app for their state and keep it readily accessible on their mobile phone. Hopefully you never have call to use it. Thank you, Nick. Unfortunately, I think you’re right about implicit bias. I don’t think it’s going anywhere, but by talking about it we’re at least admitting that there’s work. And thank you for the reminder about the social justice app! I’m going to install that now. So powerful. I’m glad you wrote this, glad I read it! Something Deborah wrote a little while ago has been niggling at me … She said that because her boys are part black, they are black. That is how they will be identified, that is their identity. We talk of Obama as a “black” president, as though his white mother and grandparents – the people who actually raised him – were irrelevant. I’ve heard other black Americans speak the same way. And oh, how I wish, WISH we could move past this! How I wish we could lose the idea that “you can’t be just a little bit black”! NOT because I want to deny black Americans their voice, or their sense of identity or community … but because I wish SO MUCH that all of us could build our identities on something other than melanin! Thank you! I know it is really too bad, and I know it puts distance between us. Words, words, words – what are they good for?